Soulja Boy really did sign a $400 million deal. And it's with World Poker Fund Holdings. The company, which is a publicly held gaming platform, released a statement today (May 20), explaining that the deal is for five years. World Poker Fund Holdings cites the partnerships of Puff Daddy and Ciroc vodka and 50 Cent and Vitamin Water as reasons it believes joining forces with Soulja Boy will be a success. And it says it has reason he will be a better brand ambassador than any of them. "Soulja Boy is arguably the world’s youngest music mogul to complete a deal of this magnitude," the statement says. "At 25, he is one of most influential urban entertainers and artist on social media today, boasting a social media following of over 15 million. Soulja Boy will mobilize his network to promote World Poker Fund’s online gaming assets such as CelebrityWorld.com and its soon-to-launch 'in-flight gaming' platform which aims to service the 3 billion plus global travelers across multiple airlines worldwide." 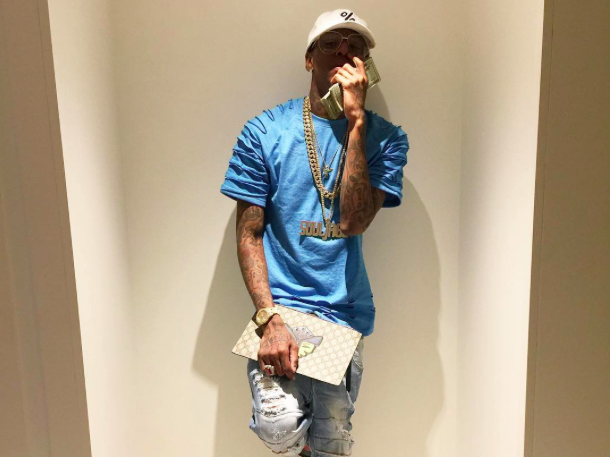 Soulja Boy, who first announced the $400 million deal on Twitter, expresses excitement in the deal and building his brand with World Poker Fund. the company is only worth 1 mil but doesn't necessarily they only have 1 mill in funds. also, the deal is for 5 years, he will need to generate a great deal of traffic to the company in order to see the $400 Mill.. they probably gave him a small advancement.. to me it seems they only signed him to a $400 Mill deal because 1. he's dumb enough to take the deal without fully understanding what this means; he probably wont meet the quota and will be dropped or owe them money. 2. they understood that this was going to be big news, which means this itself can be nothing more than a marketing scheme on the company's part.